Looking for a fun summer project for the kids, or just a fun way to enjoy locally grown vegetables? Plant a pizza garden! Visit your local garden center for ideas on the best way to design and create your garden, including soil maintenance, raised beds, the best plants for your area, shady versus sunny locations, etc. Select traditional favorite vegetables like tomatoes, fresh herbs or green peppers, or spice it up with jalapenos! This is a great opportunity to spend quality time with your family while growing your own local produce, all while learning more about gardening! Don’t have a green thumb, or the time or desire to cultivate your own garden? Simply visit the your local farmers market like the Oconee Farmers Market or local “pick your own” farm within a few miles from Fox’s! Once you harvest your fresh vegetables, order a Fox’s Take ‘n Bake cheese pizza to take home. Top the cheese pizza with your local vegetables and follow the simple cooking directions to enjoy a locally grown and delicious pizza! 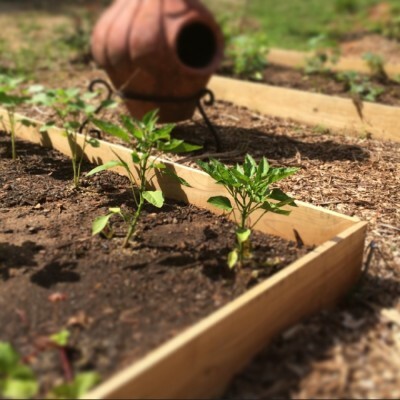 The kids will love growing their own vegetables, and build your own pizza night!